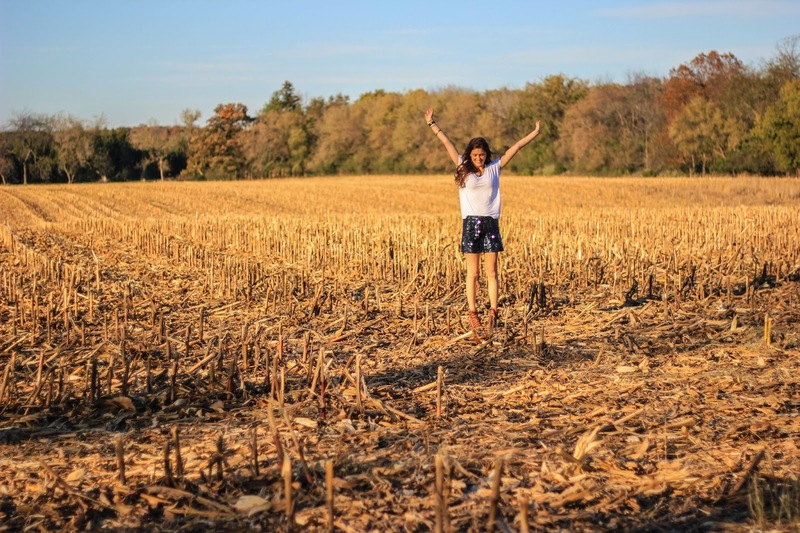 Look Sharp, Sconnie - Midwestern Fashion Nerd, Chronic Over-thinker: On "Toning it Down"
Earlier this week, a college student interviewing me about my blog asked me (a bit tentatively) if I'd ever toned down my outfits for going out in public in Wisconsin. Tricky question, kid, tricky question. but not out. Then again - haven't we all? Nobody's wearing silk gowns to their high school AP bio class. Nobody's wearing Theyskens' Theory to the gym. but because at that specific moment, it's not the perfect piece of clothing to achieve the maximum kind of happiness that you desire. See - as I see it, an outfit is not unidimensional. What we choose to wear at a particular moment is instead an intersection of what we like, where we're going, who we'll be with, and what kind of person we actually want to be. Do we feel like speaking out? Acting gregarious? Or is it one of those fly-on-the-wall-bottle-of-wine kind of nights? and how we go about doing that changes based upon the circumstance. This doesn't necessarily mean that we're "toning it down" out of fear or intimidation or dependency on social norms, but we're using clothes as they should be used - to make us feel like the best version of ourselves in all possible situations. True - in some cities, the bar for what we can wear while still achieving that ideal intersection of social and personal happiness is set a slight bit higher - or more at an angle - or god forbid underground, but I think that that's only natural in a world as diverse as ours. 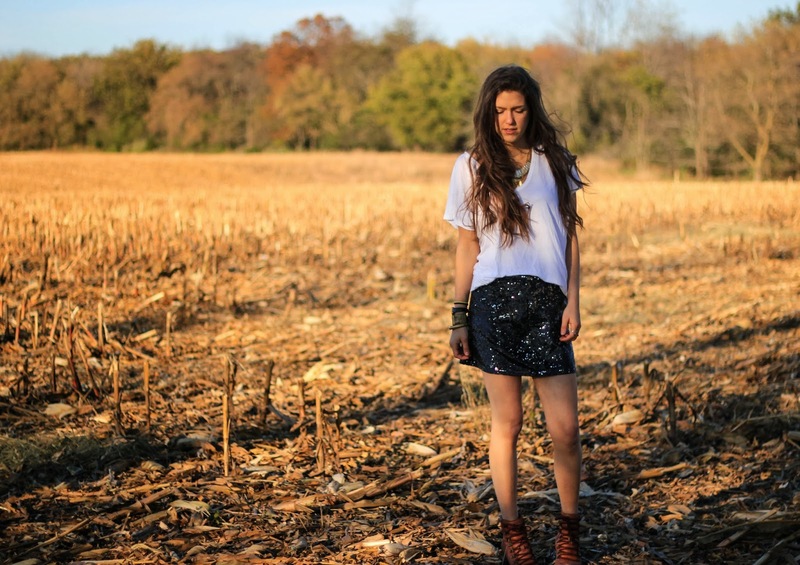 All in all: As you can see, this post is me attempting to good-naturedly accept the fact that a sequins skirt in a corn field is not 100% acceptable at all times. It's OK, though - 'cause I still achieved happiness. So timely. Today, we "toned down" our black coated denim. bc at the corporate office, it could be just a little too flash. I'm guilty (not sure if guilty is the right word) of the odd tone down or two. 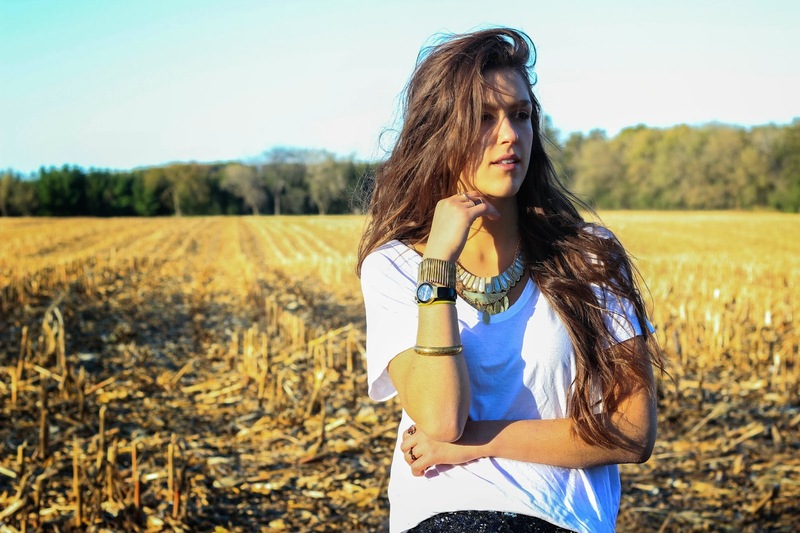 I always kick myself afterward for not just wearing what I want. I blame my predisposition to over think things, plus sometimes stilettos and the country just don't mix. 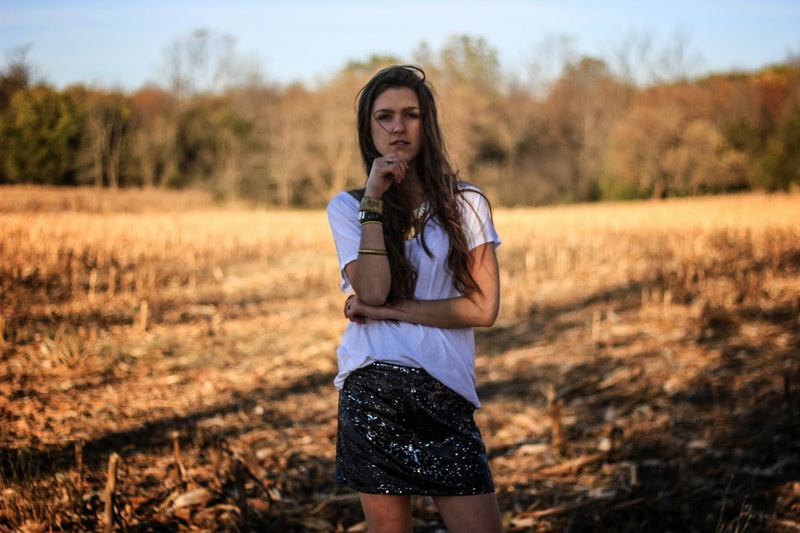 Sequins and cornfields however equals rad.